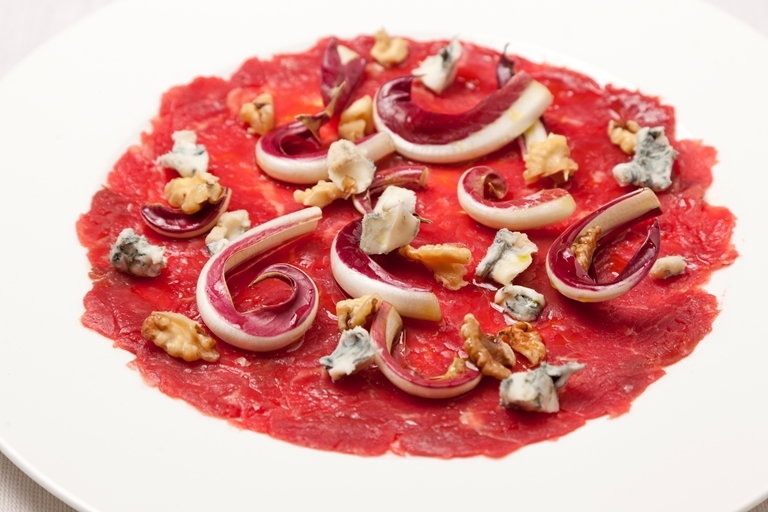 Surprisingly simple to prepare, this beef carpaccio recipe from Theo Randall makes an elegant starter; the thinly sliced meat adorned with walnuts, Gorgonzola and Treviso lettuce. Using a good quality beef fillet will make all the difference, Theo recommends using Longhorn beef. With Theo Randall’s career including experience in some of London’s most prestigious locations as well as Chez Panisse in California, it’s vital to note that – prior to opening up his own first solo venture – he secured his reputation as head chef at The River Cafe.